The new hubby and I have been doing some spring cleaning last couple weekends… Swapped the main room around, so now the art and computer space is much larger… And the living room/lounge area is much cooler… Hoping to get back to work on some new fiber arts/art quilt pieces and painting very soon.. ! Plus we will have space to set out the large table and have guests over for creative night, games, dinner, etc. Getting excited! Greetings, all. After an unexpected series of life events (emergency move, health issues, etc.) 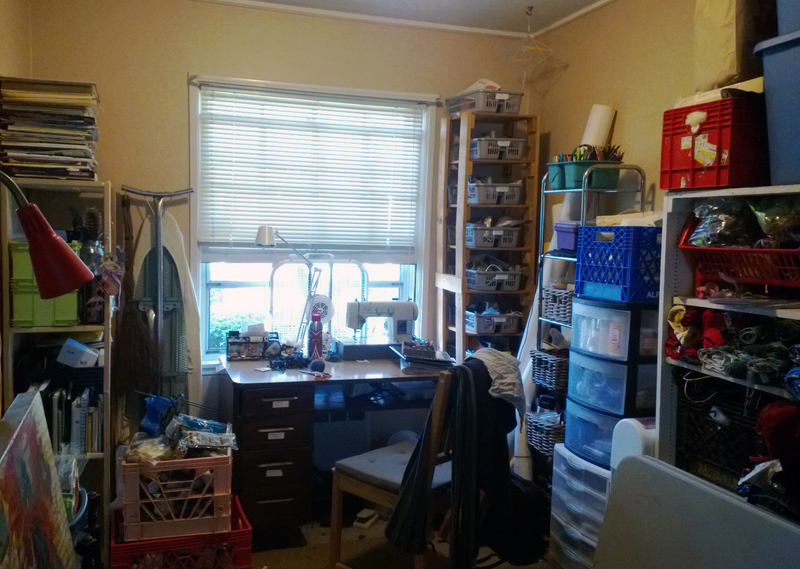 I have settled in a new spot and just finished restoring my art studio in the Portland Metro area. Still a bit rough around the edges, but it is all set to focus down on drawing, painting, mixed media and fiber arts/embellishment work. I’m excited to get started again. The Appel Portland base of operations moved in mid-Feb to a new live/work space in inner SE Portland, conveniently located for seeing clients and enjoying the rich community resources here. I have been reconstructing the art studio to make it share-able with others. It’s been taking a lot of preparation, as you can see… but I’m proud of my new found ability to construct a level surface (on a non-level floor)…!